Veribook is an online scheduling and appointment booking website that displays your real-time availability so that you can accept and manage bookings from customers, all online. This guide will introduce Veribook by providing an example of how to setup a small business. To get started, add services to Veribook that your business provides. For example, a massage clinic might offer these services: Hot Stone Massage and Shiatsu Massage. Click here for a guide to adding services. Figure 1: Add Service form. You can add resources that represent individual staff members or physical resources that perform services. Resources can have their own working hours or schedule for when they are available to perform services. Click here for a guide to adding resources. Figure 2: Add Resource form. Working hours let Veribook know when a particular resource is available to offer what services. 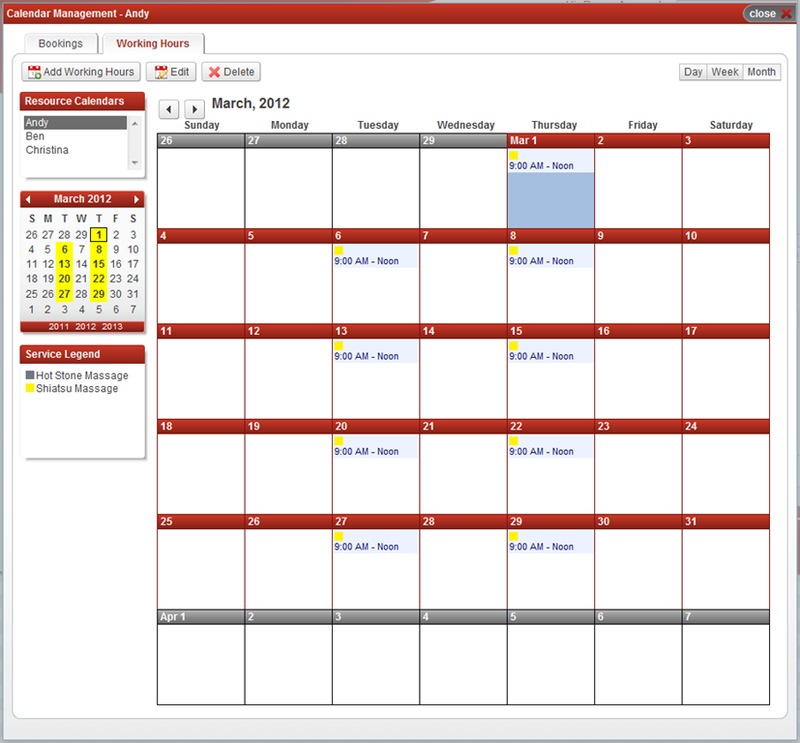 Veribook will display your availability based on your working hours and your current bookings. 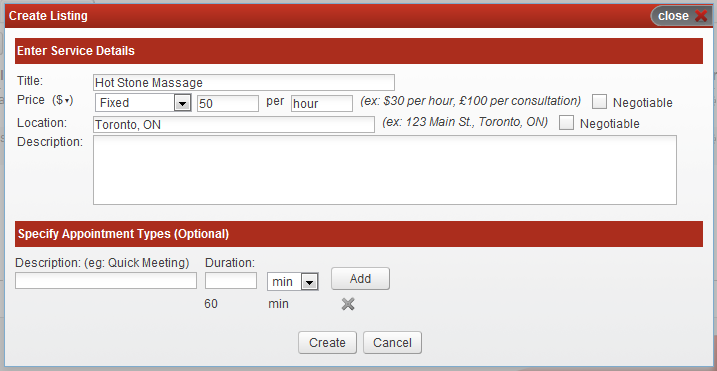 Only times that fall within your working hours and that have not been booked will be displayed to your clients. In the example below, Andy, a massage therapist, works 9:00AM - 12:00PM on Tuesdays and Wednesdays and only offers Shiatsu Massages. Click here for a guide to adding working hours. Figure 3: Working Hours Calendar. Once you have added your services, resources, and working hours, Veribook is ready for use. A link to your service booking request form. A "Book Now" button on your website. An embedded form on your website. For example, this link takes visitors directly to a form for scheduling an online demo of Veribook. When clients send a booking request, you will be notified by email. Booking requests can be viewed and managed through Veribook's Booking Management panel, where they can be accepted or declined, among other things.